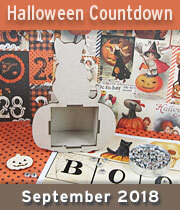 ﻿	Alpha Stamps News » New Kit & Halloween Swap & New Sale! 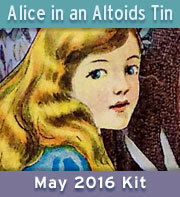 New Kit & Halloween Swap & New Sale! 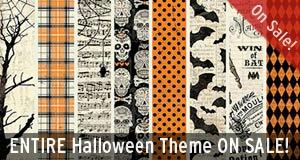 Halloween Theme Section (20% to 50% off! Yes! 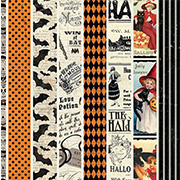 Tons of Halloween goodies: scrapbook papers, ribbons, chipboard shapes, charms, beads, stencils, Dresden borders, stickers…) To give you a chance to stock up for the swap, this section will stay on sale through Monday, September 19th (that is the same date as the deadline to sign up for the swap). But many items in there are being discontinued, so when they’re gone, they’re gone! Ooh! It’s time for some Halloween projects! 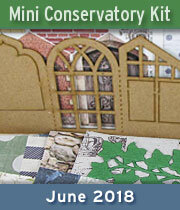 This kit started with some sketches of Paris cemetery tombs that became the 3 chipboard Miniature Reliquaries in the kit (note: there are some larger tombs being announced today, too). 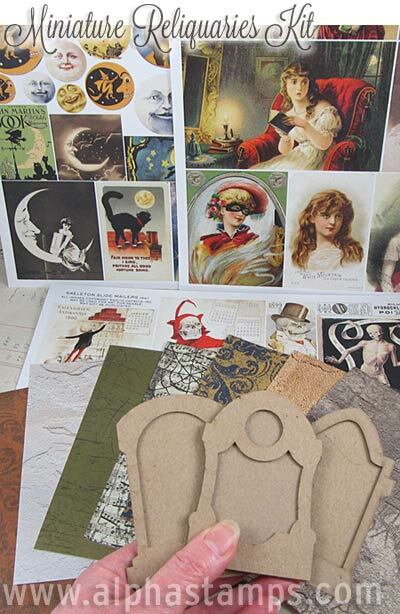 There are also 3 collage sheets, with images from spooky skeletons to sweet Man in the Moon illustrations (and 7 scrapbook papers as backgrounds). 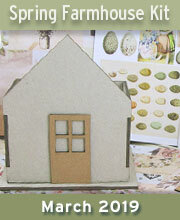 AND there is a Chipboard Reliquaries Swap using the Miniature Reliquaries in this kit! 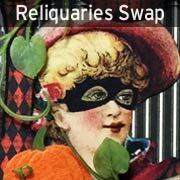 So if you’d like to join the swap, you’ll have everything you need in this kit (save signing up and paying for return postage; you can do both those things on the Chipboard Reliquaries Swap page)! 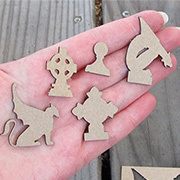 Back to this kit, let’s start with Miniature Reliquaries: 3 ATC-sized chipboard shapes (each is 2 pieces: a solid back and a matching shaped overlay/frame). The one with a round niche at the top will fit an 18mm cabochon. - New How Sweet the Moon. 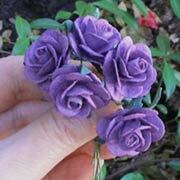 Aw… these are sweet indeed! 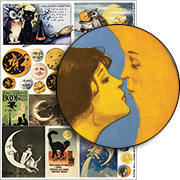 Vintage images, mainly from postcards, of the smiling Man in the Moon, along with cats, owls, sweethearts, and pumpkin-headed children? Note: the smaller silhouetted images are sized to fit 18mm cabochons (the same size as the round inset in the top of one of the Miniature Reliquaries). 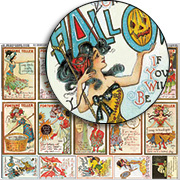 - New Romantic Victorian Halloween Women Collage Sheet. 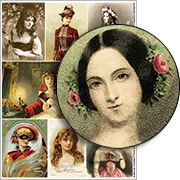 Not just for Halloween, but these lovely ladies would make a good image to frame in an ATC or a Miniature Reliquary. 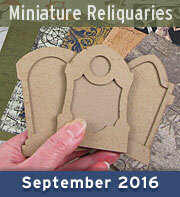 More info, photos and artwork are on the Miniature Reliquaries Kit page. 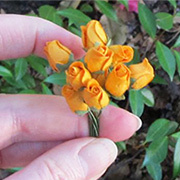 And even more artwork using the Miniature Reliquaries is on the swap page AND in the Gallery! 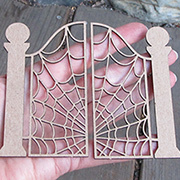 Before I let Lora tell you about her inspiration for these wonderfully creative signs, a little info on the new Tomb Sets they’re made from: There are 3 sets, each is a heavy chipboard base with a medium-weight chipboard overlay (so the pediments or window frames have more dimension). 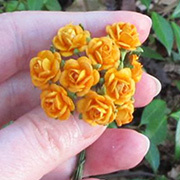 One is shown below with one of the Miniature Reliquaries (for size comparison). “I love the charming signs you see in the UK hanging from the buildings advertising various wares, restaurants and pubs. 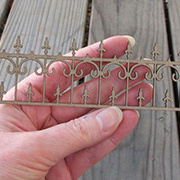 Most of them are suspended by wrought iron brackets and so many of them are funny, odd and eccentric. My favorite pub in England is in the beautiful and pretty dang old city of York. It’s a tiny place in an authentic Norman building constructed in 1180. (!!!) You wend your way up a very dark, narrow stairway that suddenly opens up into a beautiful and kind of creepy (but smallish) pub that cranks out some of the best food in the city. The beams up there are from a ship that sailed the seas eight hundred years ago. The place is called The House of Trembling Madness. Gotta love it. And the icing on the cake, or the foam on the beer, is that to get to the stairway you have to walk through the most amazing beer shop I’ve ever seen. It’s a beer drinker’s Nirvana. See all of the parts in the Haunted Pub Signs Supply List. 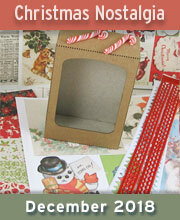 Visit Lora’s Blog for more details, tutorial and photos. 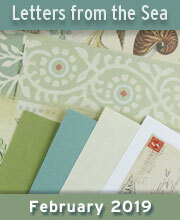 AND be sure to come back as today’s Giveaway includes EVERYTHING in Lora’s supply list! Hooray for Dark Nellie’s Giveaway! Psst! That variation (shown at right) of how to mount/hang the pub signs is covered in Lora’s blog post! 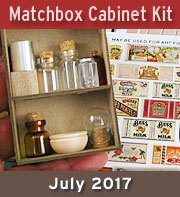 Miniature Reliquaries Kit (includes ELEVEN items!)! To enter Dark Nellie’s Giveaway drawing all you have to do is leave a comment BELOW on this blog post TODAY OR TOMORROW (the deadline is 11:59 pm PST, MONDAY NIGHT, September 5, 2016). 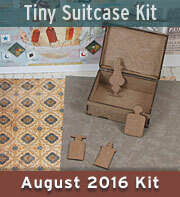 And tell me: What will you make with the TWO Tombs and/or Miniature Reliquaries Kit (both in the Giveaway)? And will you enter the swap? Hey, who won the Don’t Go Near the Apothecary Giveaway? That would be cg! Congrats! 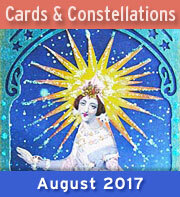 Check your email for more info. 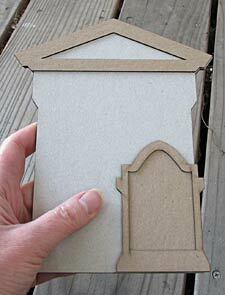 I would definitely make some of these amazing signs for a cemetery scene in which I would use the tombstones also!! 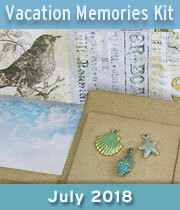 So many possibilities with the awesome prize package!! Thanks for the chance to be a winner! September 4th, 2016 at 6:57 am. I love the pub signs and would be delighted to make them (I do have a drill press). Not into swaps though…. September 4th, 2016 at 7:21 am. WOW !!! 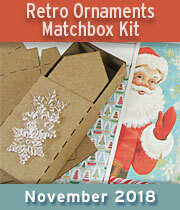 All the stuff in this giveaway can be used to add to my halloween projects. Can’t wait to get started. September 4th, 2016 at 7:26 am. I have been gathering stuff for a pub for years so would definitely be able to use these items. Unfortunately I have too much going on in RL to do any swaps for the next couple of months. September 4th, 2016 at 7:31 am. Planning on the swap and love Halloween!!! I like beer too so a Halloween pub decor is right up my artistic nature!! !Thank you for the chance to win this awesome giveaway! September 4th, 2016 at 7:34 am. September 4th, 2016 at 7:50 am. I love these haunted pub signs, I would make my own for halloween! September 4th, 2016 at 7:53 am. Swoon!! 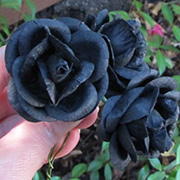 Perfect to go near my Witch’s Apothecary à la Laura Carson!!! September 4th, 2016 at 7:55 am. Love at first sight! Pub signs! I want to make pub signs! Those are phenomenal!!! I guess a cemetery centerpiece for the mantel would be in order. But those pub signs are wonderful! September 4th, 2016 at 7:57 am. I am so psyched about these sign posts. I’ve been looking for exact thing for a large arcane book shop display. They’ll be perfect to hang outside the store. I’ve never done a trade like that before. I’m not sure I could do it, but I’ll check it out next. Thanks! September 4th, 2016 at 8:03 am. Haunted pub signs!! Love them!! They could also be used to frame haunted photos. September 4th, 2016 at 8:05 am. Love the signs. …no to the swaps. September 4th, 2016 at 8:12 am. September 4th, 2016 at 8:41 am. I would make signs for a ghoulish goid time. September 4th, 2016 at 8:50 am. September 4th, 2016 at 9:07 am. The haunted pub signs are so fun, I’d have to try making some of my own. I won’t be taking part in the swap. September 4th, 2016 at 9:16 am. September 4th, 2016 at 9:31 am. 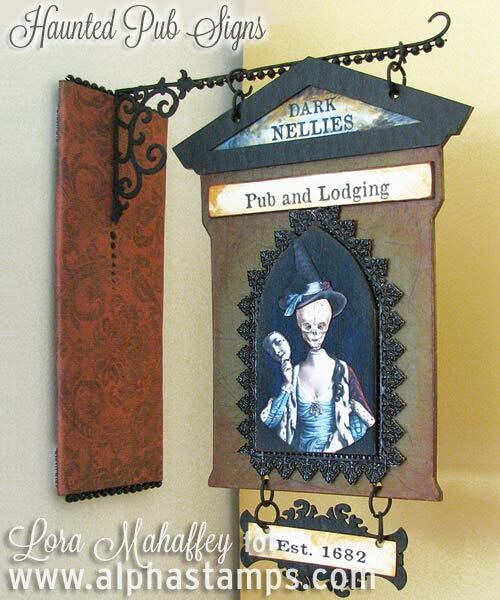 I love the Haunted Pub Signs!They are beautiful & full of details ! 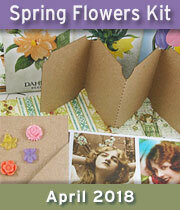 I would love to try & make some of my own. 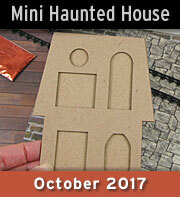 I would enjoy using the Miniature Reliquaries Kit for the Halloween diorama I am making ! 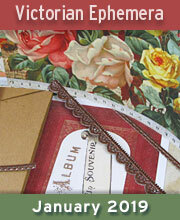 I won’t be joining this swap, as I am just a beginner & hope to get better with crafting, as I learn. September 4th, 2016 at 9:50 am. September 4th, 2016 at 10:23 am. Love the miniature reliquaries! I’d use them in a Halloween shadowbox I am working on for a graveyard scene! September 4th, 2016 at 10:44 am. Would love to make a pub to hang one oz these signs from. Love all of this, so many possibilities. Not really into swaps anymore but this would be an interesting one..
September 4th, 2016 at 11:23 am. The pub signs are awesome!! Would love to make those. Thanks for the chance to win..
September 4th, 2016 at 11:39 am. I’m just starting this little creative adventure, so I’d love the opportunity to make something as gorgeous as those little pub signs. I’m so excited to give this a shot! I don’t know anything about the swaps, though. I’m still reading and learning about everything. Happy Haunting! September 4th, 2016 at 12:09 pm. September 4th, 2016 at 12:33 pm. So many possibilities! The fence would be fun to use to keep the goblins out! September 4th, 2016 at 1:12 pm. 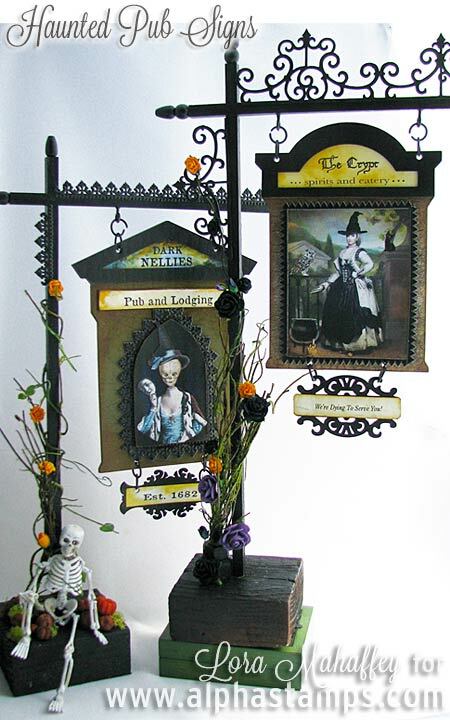 Love the pub signs and the Victorian Halloween ladies. I think I would have to make a ghoulish pub for those from the other side. September 4th, 2016 at 1:51 pm. These pub signs are awesome! It would be fun to make a whole Halloween village!!! September 4th, 2016 at 1:58 pm. September 4th, 2016 at 2:00 pm. Entrance to a cemetery would be so much fun. September 4th, 2016 at 2:21 pm. September 4th, 2016 at 3:49 pm. I love all your Halloween ideas. The ones on this blog post are the best ever. I would like to make decorations for a party we’re havig. September 4th, 2016 at 4:47 pm. September 4th, 2016 at 5:28 pm. If I won, I’d really like to make these signs! They would go awesome with the creepy Halloween village I’m making!!! September 4th, 2016 at 6:15 pm. Love the pub signs – need to get started!!! September 4th, 2016 at 6:18 pm. I would make a sign to hang at Poe’s favorite tavern. There are so many possibilities! September 4th, 2016 at 8:52 pm. I would make some Halloween signs. No time in RL to do a swap. September 5th, 2016 at 2:27 am. I would make the pub signs for this year’s Halloween decorations in my home. September 5th, 2016 at 3:29 am. I love these pub signs! 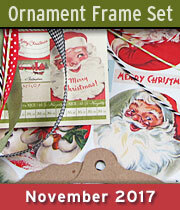 I will definitely be making thematic! September 5th, 2016 at 6:00 am. I love all of it ! But I can see me making a sign for a haunted cemetery where all the truly cool and scary folk are trying to get in! On the tombstones I see EDGAR Allen Poe, his beautiful LENORE, and various other fabulous creepy characters! September 5th, 2016 at 6:25 am. 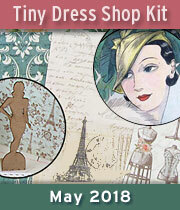 Sorry I don’t have time right now for swap- in middle of home project- but definitely in the future! September 5th, 2016 at 6:27 am. I would also make pub signs. 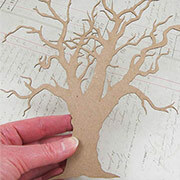 Another creative project filled with amazing details. September 5th, 2016 at 6:33 am. Inspired to put my own view on these signs. September 5th, 2016 at 8:15 am. 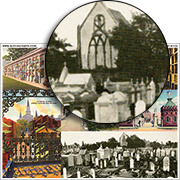 I would be making a Cemetery sign in a pub sign style from one for sure and maybe another tombstone for my paper craft “Family” Cemetery. Each year I make a new Monument to add to a table top Cemetery in honor of ancestors. So far we have 32 Monuments and trees. I’m sorry swaps are cool but I honestly would not participate. September 5th, 2016 at 10:10 am. Mind’s abuzzing about all the Halloween signs and crypts to make. They are all wonderful! September 5th, 2016 at 11:48 am. ohmygosh!! these are awesome. I am an 8th grade english teacher and could totally use the chipboard to make “death” of certain words or phrases for my classroom… We do a horror unit in October and my mind is racing with the amazing possibilites. I am crossing my fingers (and toes) for a win on this one! September 5th, 2016 at 1:51 pm. I’d make signs for the 3 Broomsticks & the Leaky Cauldron! September 5th, 2016 at 2:17 pm. September 5th, 2016 at 2:19 pm. 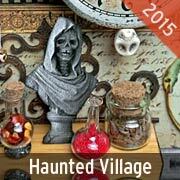 This would be a great addition to my Halloween village inspired by Laura last year along with the Halloween carnival! Can’t wait to stare some new Halloween projects!! September 5th, 2016 at 6:46 pm. 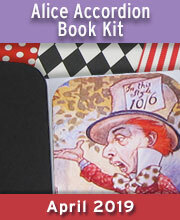 So much fun for ghoulish artists. I hope to join the swap. And hope to win. September 5th, 2016 at 7:16 pm. Love the pub signs! Yes, I would make them for sure. Hope to join the swap if I can find the time. Must decide soon! September 5th, 2016 at 7:59 pm. Love both sizes of the tombs and the fabulous example of the signs. Yes to the swap! September 5th, 2016 at 8:49 pm. I love the signs Lora has made and would try and make those! I really don’t have time for a swap right now. September 6th, 2016 at 12:01 am.